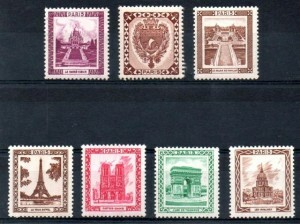 France has a fascinating history of postage stamps that begins in 1849 with the first issue of a Ceres series. In Roman mythology, Ceres is the goddess of horticulture, which is an appropriate choice for the once agricultural-based country. In 1870, when Germany besieged Paris, Ceres again was re-issued out of necessity. All of the printers were in Paris, so the government, which had fled to Bordeaux, was left without a means to produce stamps. The French had to go with the traditional Ceres drawing since it was the only option during this tragic time in French history. Since then, the Ceres stamp has been issued numerous times to commemorate how the history of the stamp directly integrates with the history of France itself, and also how it coincidentally was the first issue ever in France. The Ceres image is definitely a celebrated one among philatelic enthusiasts and European stamp collectors. 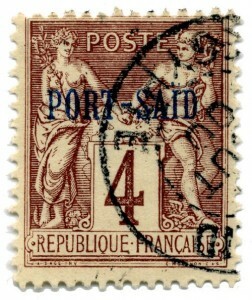 Just like the French crown’s power, the stamps of France, including Ceres, extended beyond the country’s borders. Ceres could be seen in French Algeria and numerous other French colonies. To personalize the stamp to the colony, there was a three letter code representing each separate colony. For a brief period there was even several issues of stamps with the full colony name; these were known as the Navigation and Commerce issue. As most European stamp collectors know old European countries like France, Italy, and Spain all have a deep and elaborate history that go alongside the stamps, and these stories are what truly make stamp collecting such a fascinating hobby. If you would like to learn more about French stamps or purchase some, please feel free to contact Treasure Coast Stamps for more information.